Review and register for what we have in store. We offer a variety of options and benefits. 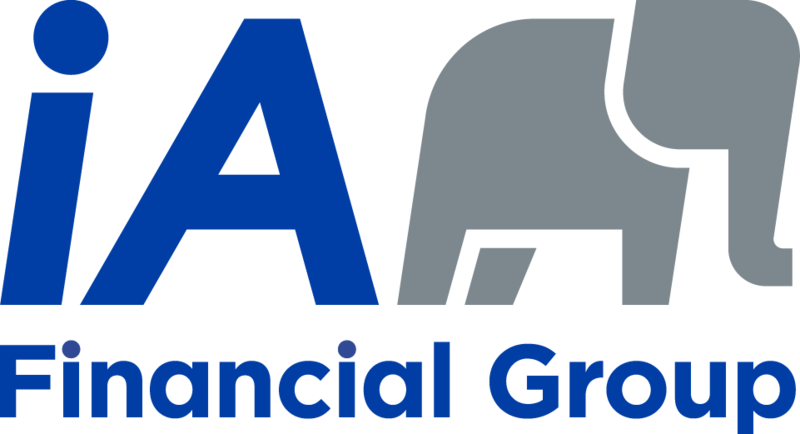 Advocis is the premier association for financial advisors and planners. We provide a platform of knowledge, advocacy, community and protection advancing the professionalism of financial advisors and planners in the best interest of the consumer. In an ever-changing landscape Advocis is committed to taking proactive bold steps to protect both consumer and the financial advice profession. With well over 11,000 members, Advocis is the voice of our profession. Toronto is the largest chapter in Canada with over 2,000 members. Learn and collaborate with a network of over 2,000 advisors across Toronto and the surrounding area. Knowledge and proficiency is key to sustainability of advisors in today's competitive landscape, Advocis offers programs for top industry standard designations such as CFP, CLU, CHS. The Advocis Professions Model requires all financial advisors uphold themselves to the top industry standards. Robbie has been with Stonehaven Financial Group since 2007, helping clients to protect, accumulate and transfer their wealth. By exploring the relationship between life and money, he works with clients to align their financial objectives with their overarching visions and goals to facilitate moving toward a life and future they want. Robbie received his CLU in 2014 and is actively pursuing further professional designations. He is a proud member of Advocis, which holds him to a code of ethics designed to protect clients and uphold a professional standard of behaviour. Cathy develops Estate Planning and Insurance solutions for clients of TD Private Wealth Management, by working closely with TD Wealth Private Investment Advice and TD Wealth Private Investment Counsel. She holds the Chartered Life Underwriter (CLU), Certified Financial Planner (CFP) and Certified Health Specialist (CHS) designations and is currently working towards obtaining the Trust and Estate Practitioner (TEP) designation. Cathy is also a member of the Conference for Advanced Life Underwriting (CALU), STEP Canada - Society of Trust and Estate Practitioners, Financial Planning Standards Council (FPSC), Women in Capital Markets, and Lean In Canada. When she's not working, Cathy spends her time gardening, hiking and shoe shopping. Based out of Toronto, Adrian has upwards of 9 years of experience in various roles within the financial industry; predominantly as a financial planner and sales executive. Adrian started his career as an Insurance Advisor with Sun Life Financial in late 2007; was awarded the "Quick Start Award" for exceeding sale expectations. He later spent one year at State Farm developing the go-to-marketing strategy for life insurance before transitioning to BMO Nesbitt Burns becoming one of the youngest Investment Advisors at the firm. In 2012, Adrian explored the distribution channel by managing key relationships in the brokerage community. In late 2015, Adrian accepted a position at PPI Solutions as Director and most recently promoted to Assistant Vice-President, Ontario in 2018 – he now leads a team of directors and associates with one key mandate, increase the firm’s value to advisors and end-clients through consultative financial planning and business development strategies. Adrian throughout the years has achieved a number of industry courses to provide clients and advisors alike holistic financial council including achieving his Chartered Investment Manager (CIM®) designation in 2012 and Certified Financial Planner (CFP®) in 2016. In 2017 Adrian achieved the Fellow of CSI (FCSI®) which is the highest honour and most senior credential with the Canadian Securities Institute. Michael is the president at CSI Brokers Inc. and holds a number of professional designations: CFP, CLU, CHS, CH.F.C., FLMI, MBA. Michael was raised in Toronto and obtained his degrees at the University of Toronto and Dalhousie University. Between 1990 and 1995, he worked with the London Life Insurance Company. Michael joined World Travel Protection Canada Inc. (Zurich Insurance) in 1995 as an account manager. In 2000, he joined CSI Brokers Inc. and became president in 2001. Michael was a founding member of the Travel Health Insurance Association of Canada (1997/1998). Jaclyn Nemethy is a graduate of the University of Toronto with an Honours degree in Human Biology. She joined IA Excellence as the Inside Sales Associate and has been a Regional Sales Director servicing Ontario for the past 4 years. Jaclyn’s experience also includes 3 years as the Ontario representative for North America’s leading provider of laboratory services for medical underwriting. Jaclyn is known for her thorough knowledge and providing her advisors with exceptional support and training on all the living benefits solutions IA Excellence can offer. She recently attained her CHS designation and is now working toward her CLU. She has recently joined the Toronto Advocis Board as Membership Chair. Arthur graduated from the University of Waterloo with a Master of Accounting degree and wrote his UFE in 2013, leading to his CPA & CA designation in 2015. While obtaining his accounting designation, he worked at small and medium size firms with owner-managed clients, helping them to take their business to the next level. He also spent 2 years abroad at PwC Bermuda, where he worked with insurance companies listed on the United States Securities and Exchange Commission. Arthur moved into the financial services field in late 2015 and is currently pursuing his CFP designation. He currently serves as the VP of communication of the University of Waterloo School of Accounting and Finance Alumni Association. John's passion for the financial industry was originally fuelled by the search of his own financial advisor. Stunned of the lack of care, support and guidance he received from some advisors and as a person who believes in taking pride in your work, going above and beyond any set of expectations, he recognized an opportunity to make a difference. John has been a member of Advocis since April 2015. Originally he was attracted to Advocis’ belief of setting higher professional standards and the education programs. John is currently working as he studies through CSI and Advocis to meet the CFP core curriculum requirement prior to beginning his journey in the industry. Recently completing IFIC license and began his next set of courses, John has excitement to learn and eagerness to contribute. Kathryn Bennett is a Senior Regional Sales Director with Desjardins Wealth Management. Kit uses her expertise as a tax and estate planning lawyer when working with advisors to provide high net worth individuals and business owners with sophisticated insurance-based solutions in the areas of wealth protection, business continuation and succession, and advanced insurance planning. She has a special interest in the strategic use of insurance products for farm estate planning, planning for persons with a disability, and cross-border planning. Kit is an accomplished presenter and frequent author on topics such as personal and corporate estate planning and charitable giving using life insurance, segregated funds, and annuities, beneficiary designation planning, using insurance and annuities in Wills and trusts, and retirement planning. Her professional memberships include the Law Society of Upper Canada, the Society of Trust and Estates Practitioners (STEP), Advocis, the Conference for Advanced Life Underwriting (CALU), the Canadian Bar Association, and the Ontario Bar Association. Tony is a CFA charter holder and Certified General Accountant with seven years of cash management, treasury and corporate financial analysis experience. He has a proven track record of creating complex financial models to provide analytical support for negotiating long-term leases, capital project investments and fee/pricing strategies. Tony has successfully completed multiple financial projects involving interdepartmental teams and providing advice to senior executives. He has extensive experience with credit analysis and pro-forma financial statement analysis. After seeing the issues the industry faces first-hand as an advisor with London Life and his role as a coach and manager with ivari, Graham believes that change is needed to give advisors the tools and resources they need now and will need tomorrow to succeed. He hopes to be able to help shape the learning environment for new and established advisors alike through his role as GAMA rep for the Toronto Chapter. His ultimate goal is to give back and provide advisors the opportunity to get the best possible support that encourages consistent and sustainable growth. Graham was born in Chatham, ON but grew up in Toronto, his family moving to Lawrence Park when he was 7. He’s spent time around North America and the world for University and work, but he has always been attached to the city and his excited to help give back in his role with the Advocis Toronto Board. Throughout his life, sports have played a large role in shaping Graham. Whether it’s through hockey, football, baseball or lacrosse, he’s always pushed himself to be better and to compete at the highest levels. As a collegiate and national level lacrosse player, his competitive fire was flamed, he learned about loss and adversity, and learned the importance of working together with others to achieve a common goal. These experiences helped him discover a true passion: coaching. This passion for coaching drew him to his current role with the ivari and the Convergis program. Adam O'Neill is a holistic financial advisor with Sun Life Financial. As one of our newest board members, Adam designs financial, coverage and planning solutions to meet all of his clients’ needs, focusing on the medical and professional market in Toronto. Adam and his team represent experts in every aspect of financial planning. They help business owners with succession planning, group benefits and tax minimization. They work with professionals such as doctors, dentists and architects through the incorporation process, and also help families plan for their future. In addition, Adam delivers speaking engagements across Canada on a variety of topics. His most recent was at a retirement symposium at the Canadian Orthopaedic Surgeons Association' annual meeting in Quebec City. Sara started her career as an advisor with Freedom 55 Financial soon after graduating in 2009 from the University of Western Ontario. Her passion for financial planning goes hand-in-hand with her strong desire to help her clients achieve their financial goals. Learning is a life-long process and education continues to play an integral role in her professional journey and development. She is currently working towards her TEP and also holds the CHS (2011), CFP (2014) and CLU (2014) designations. In 2012 she became president of King Financial and Benefits Inc.
Sara is a proud and enthusiastic member of Advocis. It's a membership she holds with great pride since the time she joined the association in the early days of her career. During that time she began volunteering with The Institute of Advanced Financial Education and currently is the Ontario Central Quarterback for The Institute. She joined the Toronto Advocis Chapter as communications chair in 2012.